The aforementioned title is the reason I have been neglecting this poor little blog, I have been busy blogging over at junctiondesigncrawl.com ! The crawl is only two sleeps away and it is shaping up to be a big night with lots of great events hosted by your favourite Junction area design shops. Everyone seems to be pouring their creative hearts and souls into this project and I am very proud to be taking part in it. 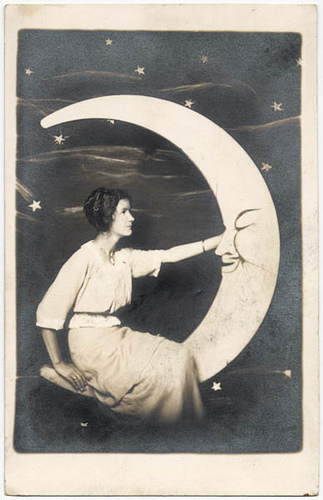 Over at our shop, we are hosting a paper moon photo booth and collaborating with Philippa C Photography. Portraits will be available to download on our website OR available to purchase as medium format polaroids right on the spot. Also, I'm sure we will have some sort of baked goods and lemonade just to continue the1930s carnival theme, because we are perfectionists like that. All of the business that are taking part in the night will be stringing white lights up outside to let the crawl-goers know that there's a party inside, and YOU are invited! 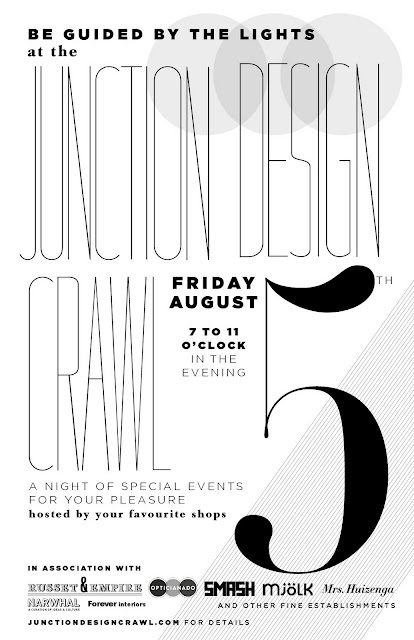 Please go to the Junction Design Crawl website to check out all of the details. See you Friday! Hey guys, I made a commercial!